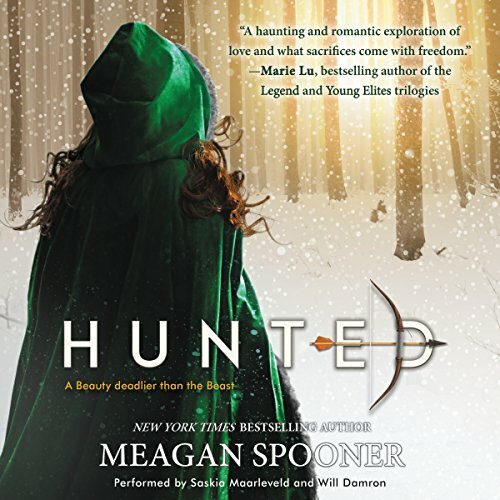 New York Times best-selling author Meagan Spooner spins a thoroughly thrilling Beauty and the Beast story for the modern age, expertly woven with spellbinding romance, intrigue, and suspense that listeners won't soon be able to forget. Beauty knows the Beast's forest in her bones - and in her blood. After all, her father is the only hunter who's ever come close to discovering its secrets. 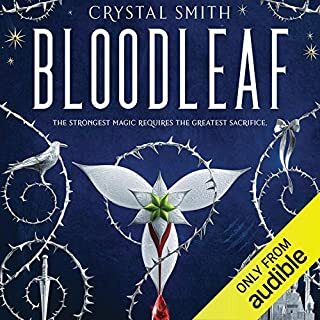 So when her father loses his fortune and moves Yeva and her sisters out of their comfortable home among the aristocracy and back to the outskirts of town, Yeva is secretly relieved. Out in the wilderness, there's no pressure to make idle chatter with vapid baronessas or to submit to marrying a wealthy gentleman. But Yeva's father's misfortune may have cost him his mind, and when he goes missing in the woods, Yeva sets her sights on one prey: the creature he'd been obsessively tracking just before his disappearance. The Beast. 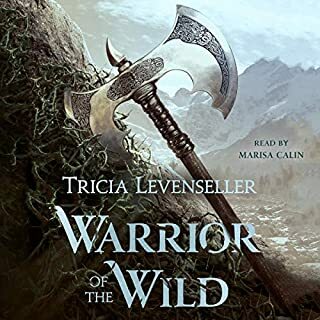 Deaf to her sisters' protests, Yeva hunts this strange creature back into his own territory - a cursed valley, a ruined castle, and a world of magical creatures that Yeva's only heard about in fairy tales. A world that can bring her ruin - or salvation. Who will survive: the Beauty or the Beast? The story fell short for me. I found myself hooked in the beginning but the romance felt dry in the end. 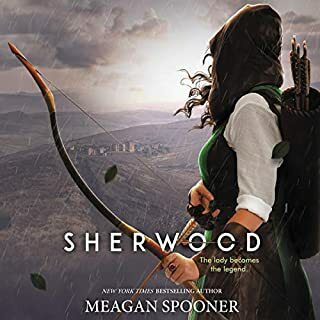 I also feel the male narrator did amazing while the female voice was just ok.
Megan Spooner is a very talented storyteller. I enjoyed this version of a familiar tale and recommend reading it. You will be pleased with the twists. 45 minutes in and I can't seem to catch. Sad really, as I wanted to love this story. 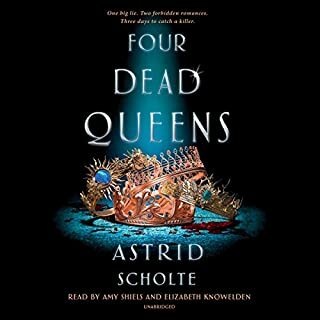 I can't begin to describe how mundane this book was to listen to. It's a re-telling of beauty and the beast and it is SO boring. I would skip honestly. I loved listening to this amazing story. loved the retelling and honestly wouldn't mind listening to it all over again. This writer has successfully reinvigorated a long loved fairy tale. The world woven of words builds from something mundane and easily relatable to a world of magic; a world with it's very own set of rules. This book could have quite easily been drug out over several volumes but I'm heartily glad that the writer kept the story moving along without overburdening the reader with detail that our imaginations are perfectly capable of providing. I love Disney's original "Beauty and the Beast" and basically grew up on it as a child, so I couldn't walk away from this book without trying it and let me tell you, it did not dissapoint. At certain points in the story I thought I could predict what was to come but then was pleasantly surprised when the author decided to go down a different path. I took long walks in the snowy forest next to where I live so the setting and ambience really set the mood for me for this book. I finished listening to it in 3 days. THAT ENDING had me weeping, I was not prepared at all. Overall, the story was incredible and exciting, the performance was amazing (the female performance could be slightly improved, however) and I just loved it, 100% recommend. Finally a unique retelling of Beauty and the Beast, not just a cut-and-paste. 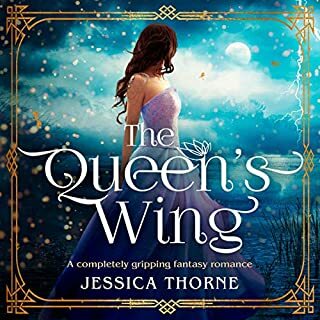 The author does an excellent job of maintaining the bones of the original while very much creating her own story of it. There's no easy way to see how it will end from the onset, as is the case with many other retellings. I kept waiting for classic bits from the Beauty and the Beast I know, only to be pleasantly surprised by the direction the book took instead. A wonderful read. I loved the angle at which she came at this. And dang what a journey we went on with Beauty. This is more a Grimm type of fairy tale and I loved all the dark paths and twisty turns. The truths and lessons among myths. The end was underwhelming after so much detail and vivid description. I was immersed chewing my nails... will she find it? And then it went into lets sum this up as quickly as possible. Except for the end this was a wonderful story. Even fresh given the use of a familiar fairy tale at its base. The end was not a bad ending it was just delivered on the back of the road runner. Beep beep.😜 It's still a must read! This book was recommended to me and it was perfect! I enjoy retelling of fairytales and this did not disappoint! a take on beauty and the beast. wonderful story and performance. captivates untill the end, a story to get lost in. love this book.. love the fact you get both points of view from the main character s ..brilliant version of beauty and the beast . Not as good as I was hoping. Didn't read/sound like a legend or fairy tale though it was clearly trying to. 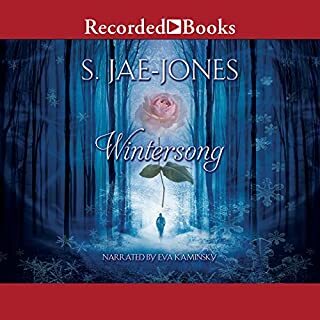 the female narrator's voice was ok but the man's didn't sound right for the wolf/beast. I love a good fairytale and this kept me intrigued the whole time. Entertaining to listen to.